Video game music is what I listen to when I want to get pumped. There’s a long list of songs that have moved me to tears, and a longer list of tunes that put a smile on my face. But there’s only one piece of game music that really makes me think. That song is Louis Philippe’s “Flying Man,” a tune that’s technically never appeared in a video game. It was recorded for Mother, but it never plays in the game itself. 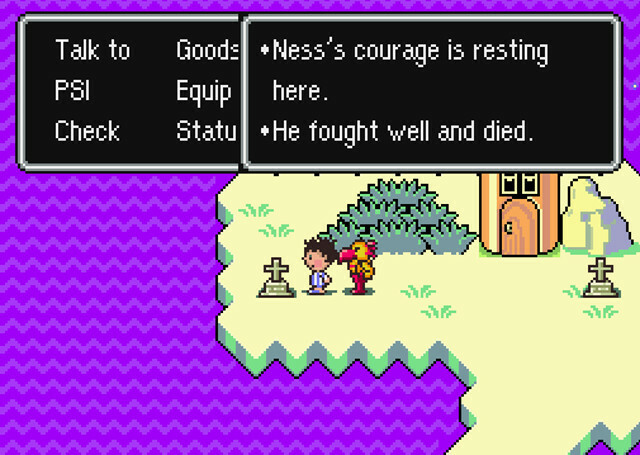 If that catchy melody sounds familiar, it’s because it shows up in EarthBound — twice. One version is every bit as happy as the song above, albeit lyric-less. The other rendition is slightly more somber. To understand the significance of “Flying Man,” you have to understand the Flying Men themselves. These bird-like creatures are found in Magicant, a world that exists inside character’s minds. They’ll fight alongside you, but there’s a catch: if they fall in battle, they die for good. The Flying Men offer to be your courage and your strength. But as they perish, their words become more grim. Instead of encouraging you, they admonish you for treating them like trash. 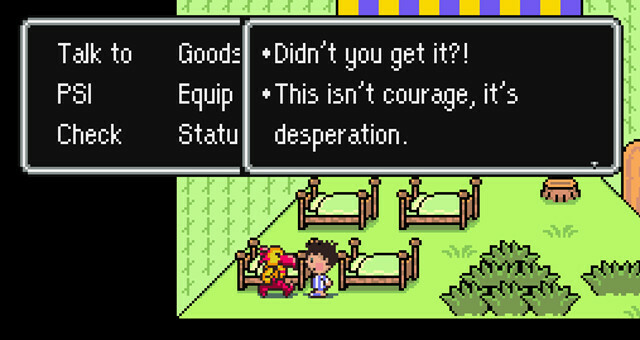 The final Flying Man tells you that he’s not your courage, but your desperation. When he dies, you’re forced to fight alone. There’s an obvious interpretation here. The Flying Men exist because you think you need them. They’re a representation of the courage you don’t think you have. When they’re gone, you realize you had the strength you needed all along. It’s a sweet little ditty, but there’s something sinister about it. It almost sounds like you’re encouraging the Flying Men to die for your sake. Sure, you’ll appreciate their sacrifice, but you’re still choosing to lead them to their doom. The Flying Men don’t want to be treated like trash, but when you invite them to “give their love,” you’re doing exactly that. Are the Flying Men a metaphor, or some kind of life lesson? Or are they more than that? Are they parts of yourself you need to destroy? Are they real characters you willingly let die? The “Flying Man” song haunts me as much as it enthralls me, and that’s why I like it so much. It’s a song that can make me sad and make me smile at the same time. No matter what the Flying Men are, it’s the most thought-provoking piece of music I’ve ever found in a video game. Well this was beautiful and depressing. They all died on me and I didn’t try to kill them that’s the sad part. I tried to use them for grinding but didn’t know it would be sad.